A few weeks ago, one of my readers sent me a link to Steph Davis’ post “Love Dogs.” Ostensibly it’s the story of how Davis lost one companion animal and found another, but it’s more than that. It’s a sweet, moving reflection on the boundlessness of love. When Fletch passed away from spinal arthritis, Davis was devastated. She feared she wouldn’t be able to open her heart to another dog again, and when she did adopt for the second time—a rambunctious stray named Cajun—she struggled to adjust to her new pup’s personality. Cajun was Fletch’s opposite: rambunctious, defiant, and unruly. Davis couldn’t help but compare her unfavorably to the independent and well-behaved companion she’d lost. …when it happened I didn’t question it or second guess, though I’d been warned by many that I would. I didn’t struggle with fear or sadness or doubt, thoughts of how life ends and begins, of how to fit together the past and the future, because Fletcher and Cajun taught me something about love. Love is the one thing that has a beginning but not an end, that makes more space the more it grows. It’s the one thing that lasts forever. 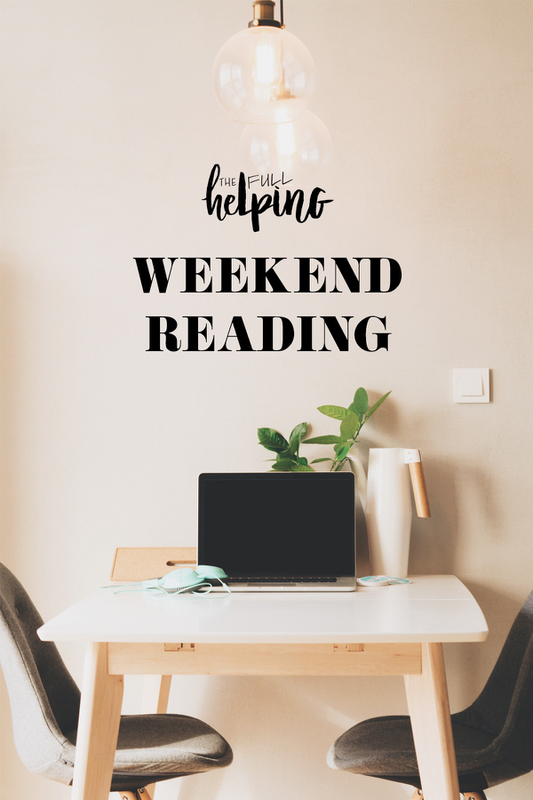 My reader said that the article had made her think of me and weekend reading posts, but she couldn’t have known how much the idea of love as a regenerative force would speak to me right now. In the wake of a great loss it’s tempting to measure everything we encounter in terms of its similitude to the thing (or the individual) we’re mourning. Part of what makes loss so difficult, though, is the singularity of what’s gone—after all, if something were easily replaceable, we wouldn’t feel its absence so strongly. In my experience, healing often means opening ourselves up to the possibility that we won’t be able to revive what’s gone, but we can and will experience new attachments. What’s lost may be irreplaceable, but love is resilient. 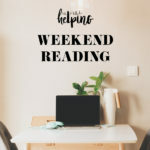 Other reads that caught my eye this week include two powerful pieces of reporting on the healthcare system, a peek at the nature of compulsions and compulsive behavior, and a lyrical look at the heroic efforts of individuals who are on a mission to save the Oregon silverspot butterfly. I hope you’ll enjoy them. And first, some food. 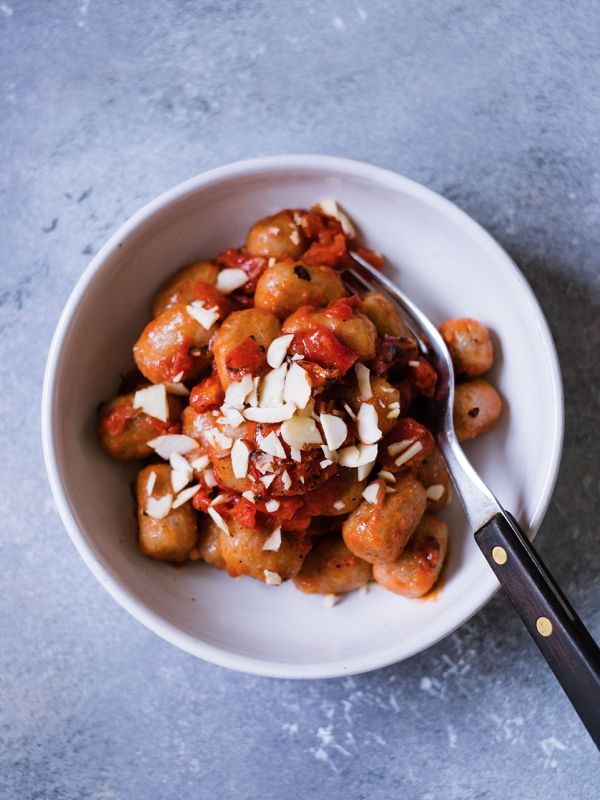 I’m still on a comfort food kick, and I can’t think of a better way to satisfy the craving than these perfect vegan potato gnocchi. Valentina offers more than a recipe: her post will also tell you everything you need to know for homemade gnocchi success. 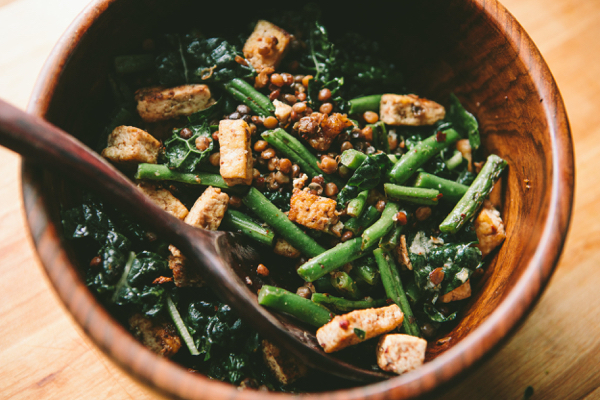 Brian’s lentil and green bean salad with crispy tofu is going on my lunch lineup ASAP. So simple and good. 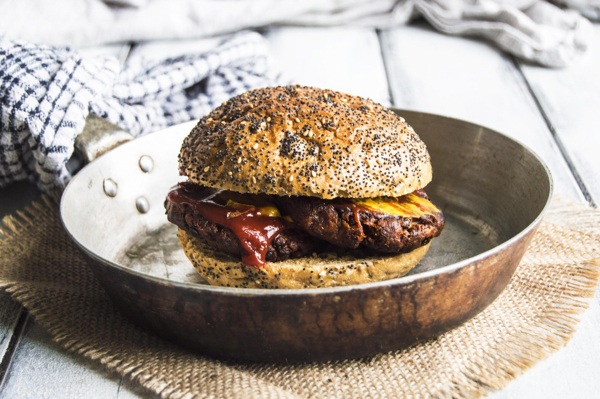 I don’t always have the best luck with homemade veggie burgers, but I know an awesome recipe when I see it, and Alex’s spiced lentil burgers look fantastic. I love Japanese sweet potatoes, but I’ve never thought to try them as fries. 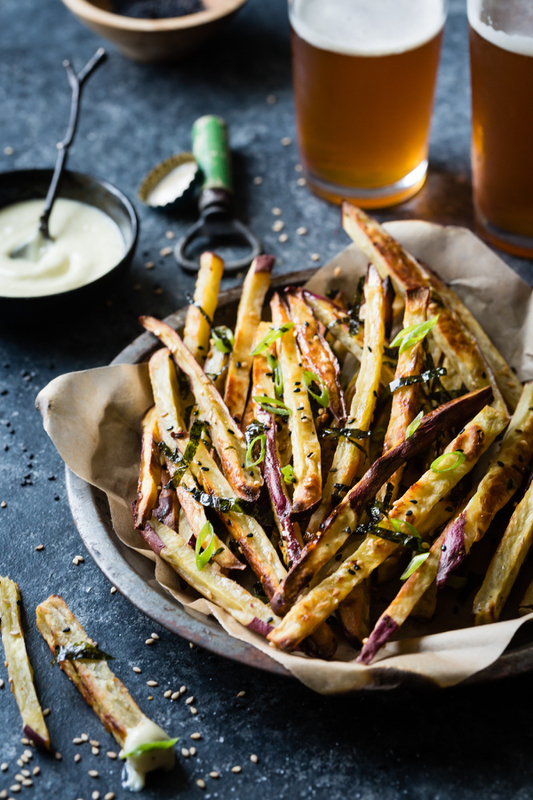 Leave it to Alanna to turn them into the crispiest and most flavorful fries I’ve seen in ages–with a simple recipe for wasabi aioli to accompany them. Yum. 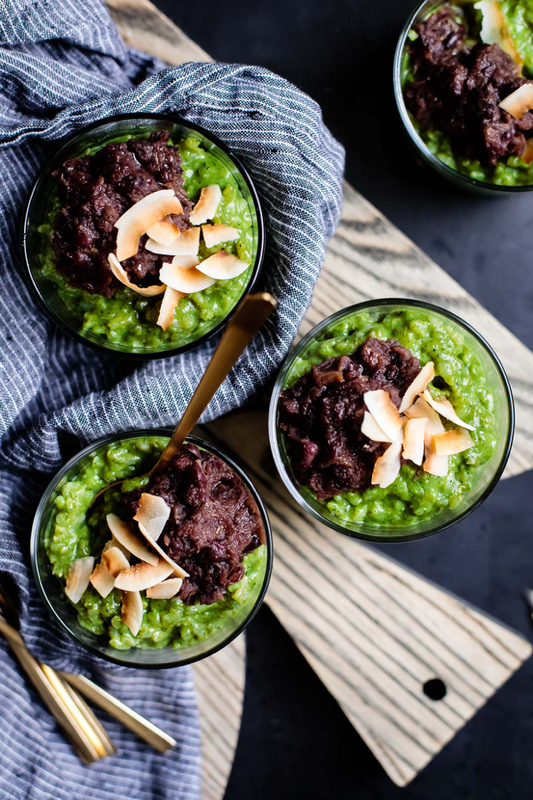 And for dessert, I’m loving Sarah’s creative and colorful recipe for coconut matcha rice pudding with date-sweetened adzuki bean paste. So pretty! 1. David Epstein and ProPublica’s tough examination of the epidemic of unnecessary health care has been making the rounds recently, for good reason. It’s a sobering indictment of procedures, like angiograms and stent placement, that are prescribed more often than is necessary, often with serious risks and consequences. I appreciate that the authors profile health care providers who stress the potential of lifestyle change, including nutrition, as an alternative to needlessly invasive measures. 2. I’ve never given much thought to medical waste, and that’s part of why this article was an interesting read. Marshall Allen takes a look at the high cost of medical equipment and supplies that hospitals throw away—in spite of the fact that such supplies are desperately needed in the developing world. 3. The Oregon silverspot butterfly used to range from Northern California to Washington’s Olympic Peninsula. Habitat loss—erosion of the coastal dunes and grasslands where the butterfly dwells—is precipitating the species’ disappearance. This article profiles the work of scientists and conservationists who are fighting to preserve the future of this beautiful insect. …One of the things I tried to do is explain in a way that I hope is sympathetic why people who are doing things that society frowns on are acting the way they do. Hoarding, obviously, is worse than frowned on. But the hoarders I spoke to were, in absolutely every case, just expressing an extreme form of something that I think all of us feel. Many, many, many cases of hoarding are because people have an emotional attachment to their stuff. I think we all have an emotional attachment to our stuff. I was working at Newsweek during the turn of the Millennium, 1999 to 2000. I was working the morning of January 1st, and I walked through midtown, and there was confetti all over. I thought, “This is the Millennium confetti.” So I picked up a few pieces and I’ve kept them. It’s not like I have a closet full of the stuff, but absolutely, it means something to me. It was a teeny little tile in the mosaic of my life. Begley extends the same kind of integrity and empathy to other compulsive habits, as well as to anxiety, which is being diagnosed more frequently these days. It’s a wonderfully down-to-earth interview, and I recognized plenty of the factors that drive my own compulsive tendencies as I was reading it. 5. Finally, Steph Davis’ lovely reflections on dogs and love. I wish you a great start to the week. It’s dipping back into freezing temperatures and snow around these parts, and I’ve been staying warm with a hearty, spicy soup that I’m excited to share in a couple days! Aw, thanks for the sweet share! <3 I can vouch for the deliciousness of Sarah's matcha rice pudding – to die for!